To start off, let me give you a little background in case you don’t know me well. I am an ISTJ, Type One, strategic fact-finding achiever. I’m a researcher, logistician—according to the Myers-Briggs—and I believe in systems. All that to say...I'm really into experimenting and testing. I've used my share of email service providers. I started on MadMimi back in 2013. I then moved to MailChimp and then to ConvertKit in 2016. I have extensive experience using Constant Contact and GetResponse from previous job's where email management was involved. I can confidently tell you that ConvertKit is my absolute favorite and I highly recommend it. Let me tell you why. Every blogger and business owner needs to have an email list and email management service. It's the absolute best way to connect on a personal level with your audience. ConvertKit was created for creators by creators. They get it. They understand what we need and the importance of email marketing. ConvertKit provides a free 14-day trial so that you can dig around and get familiar with the system before committing. ConvertKit starts at $29/month and you can receive a hefty discount if you pay annually. If you are a small business owner or blogger, you need to be growing your list and ConvertKit is an affordable, easy to use way to do it. Why is ConvertKit right for you? Easy to use, won't have to switch once your list outgrows the free option on other providers, start tagging from the beginning to connect with your audience. Below are ratings and comments for the main components of a good email service provider based on my own personal experience. Easy to use, however, sometimes you might want to make changes that can only be done with html. The visual automations are amazing and so helpful to imagine the workflow your reader goes through. Ready to get your first 1,000 subscribers? Every time someone signs up to get a free download on my site they are automatically tagged depending on what the opt-in was. 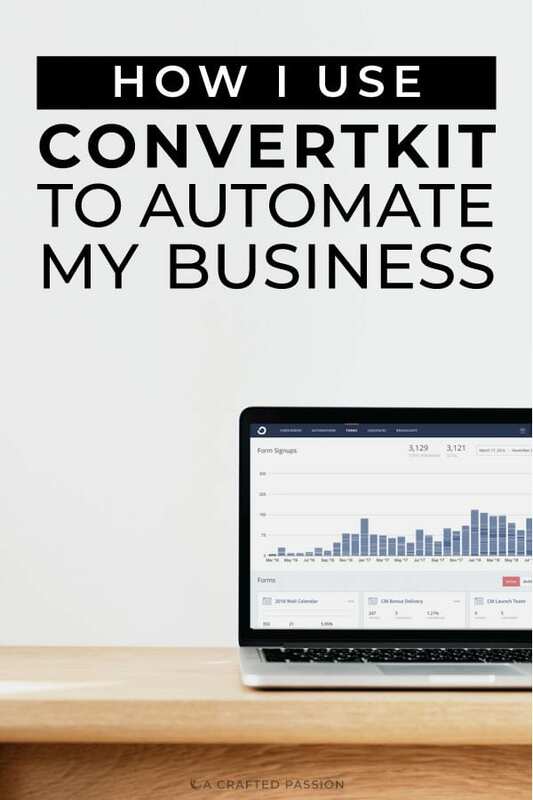 ConvertKit provides simple but powerful automations that do the tedious work for you to send well-timed and targeted content to your subscribers to increase conversions with automated emails that feel personal. For example, if you sign up to get my free Pinterest Audit checklist PDF you'll automatically be tagged with "Interest: Blogging" and then put into a sequence to welcome you to my email list with well-timed, personalized messages and ultimately pitch my services. 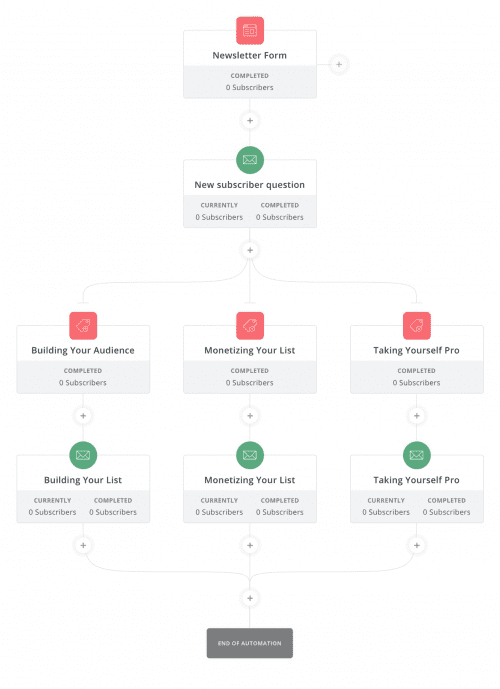 With the visual automations, it is easy to conceptualize the flow that a subscriber goes through. Directly in the visual automations you can add time and date triggers to pull subscribers to a certain event or edit sequences. Throughout an automation you can add if-then logic to send subscribers down a different path depending on if they've purchased products or have certain tags. This comes in really handy when you're trying to promote a product or service. Automations allows you to send highly targeted content directly to subscribers at the perfect time with tags, segments, and rules. ConvertKit has an extensive learning database filled with text and video tutorials, so if you ever feel stuck you can almost always find an answer quickly or contact support and hear back very quickly. Are you confused about where to even begin with email marketing? Grab your free copy of this book to see what you need to know before you dive in head first. Ready to grow your blog? 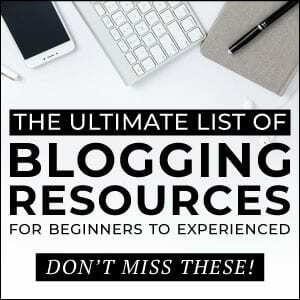 Check out this ultimate list of blogging resources that covers everything from photography classes, email lists you should be on, and some killer blogging courses for beginner to advanced bloggers.